Free Range Chicken: Promise or Inside Joke? 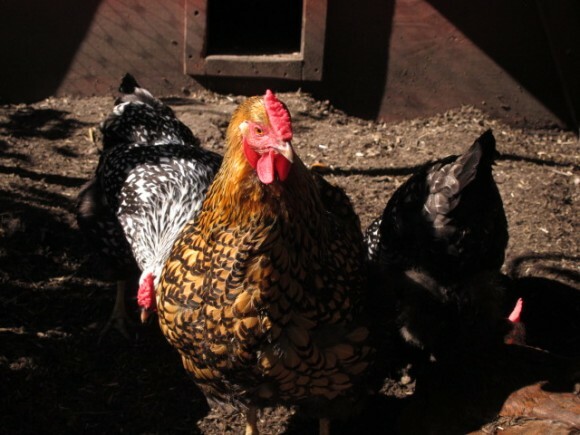 When you see “free range chicken” on the label, do you think that means they grew up outside — like in that picture above — then came home to a roost each night? That’s sure what it sounds like, isn’t it? Well … not quite. According to the USDA, chickens raised for meat may be labeled as “free range” if there is access from their shed or quonset hut to the outdoors. In other words, a small door opening to a concrete pad would qualify. News flash: chickens are timid, clubbish kind of critters. It’s the rare chicken that would push through that door and venture out alone. Â And what would be the value of their stroll on the carport even if they got there? Go check out the rest of the article on A Conscious Feast and see if you want to spend extra on “free range”.